Taste of Chicago is Here Again, What is Safe This Year for Allergenistas? 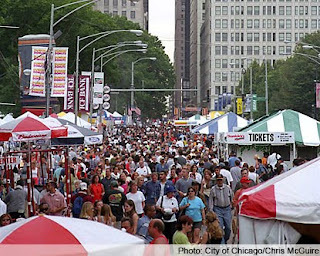 The Taste of Chicago can be very difficult to navigate with food allergies. So to make it a little easier for my favorite allergenistas, I have compiled a list of vendors that includes their menu and whether their food contains any of the Big Bad 8 allergens and gluten. I have included the menus for all vendors, even if I wasn’t able to make contact with the restaurant found on page 7. Please make sure when you go to the Taste, your investigation doesn’t stop with this list, ask questions about the ingredients when you get to the booth, ask to see the packaging on any sauces that may be in question and take a definitely watch how your food is being prepared to make sure that proper protocol is being used to avoid cross-contamination. Bear in mind that the Taste is an incredibly busy event and the staff is hired especially for the Taste, so training in regards to food allergies is sometimes lacking. There are also cross contamination issues that are present in this open air event. Please use additional care when choosing where to eat and use your best judgment. If you have any reservations, it is probably best to pass on that item or vendor. This list is to be used as a starting point; the rest is up to you! Enjoy! 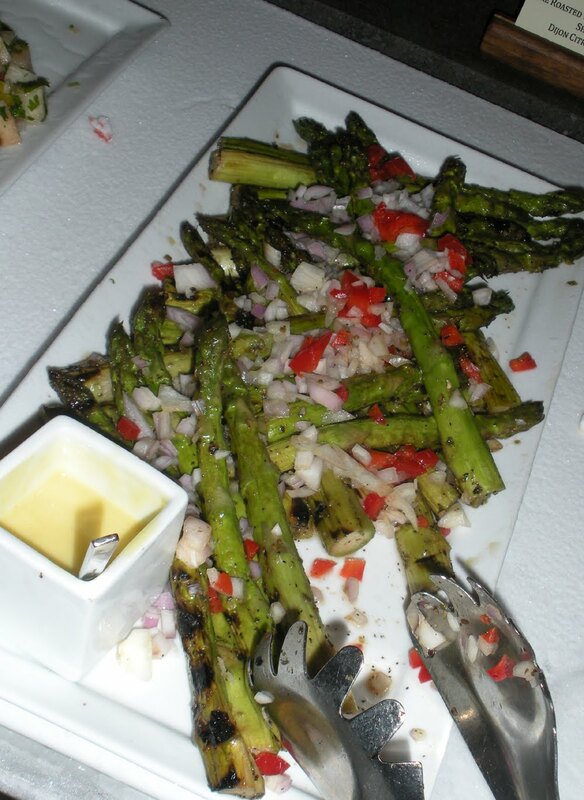 Click here to get the Taste of Chicago Allergenista guide. Zed 451 – Our Next Safe & Sound Dinner! My sister Alivia just moved to Chicago, and we decided to go out for dinner and headed south on Clark Street to Zed 451. It was a Monday evening around 7ish and Zed 451 was already hopping. The crowd varies from friends meeting for a casual drink to dinner parties for Chicago’s elite business moguls. The atmosphere is warm and inviting as wood is prevalent throughout the restaurant with fireplaces and large groups of candles strategically placed to be seen from almost any vantage point. Alivia is a vegetarian (or pescatarian, she eats fish) with lactose intolerance, what is she going to eat at this American-style Brazilian Steakhouse? Our waiter promptly greeted us and our concerns soon diminished when he informed us, “You came to the right place, let me get the chef to walk you thru our dishes.” A few minutes later Chef Patrick Quackenbush, was at our table and took us on a tour of each dish. I just love when a chef is excited about his food and restaurant; Chef Patrick had such a passion for helping allergenistas. He explained how the entire restaurant is switching to gluten free soy sauce even though it costs multiples of what its gluten filled counterpart costs. Ok, on to the food, the restaurant is set up very similar to a Brazilian steakhouse. They have table side chefs that bring the proteins and slice the meat fresh at the table. Their harvest tables are so much more than a typical salad bar. Both Alivia and I went up twice to make sure we tried everything. Chef Patrick is not afraid of experimenting with flavors, every dish was bold and robust. Jicama and Sun dried Cherry Salad – This dish had Bell peppers, ginger, cilantro, parsley, green onion and cabernet vinaigrette – The jicama added the crunch to this delicious salad, I really enjoyed the combination of the ginger and cilantro along with the sweet and sour taste from the sun dried cherries. Everything at Zed 451 is fresh and vibrant; In addition to the salads, there is a large selection of roasted vegetables, cheeses and cured meats; there really is something for everyone. Once you get back to your table with a plate of full amazing salads, it’s time for your protein. There are rocks placed in the center of your table, when you are ready to try protein dishes, you place your rock on the edge of the table. Then magically, table side chefs start to arrive with your choice of beef, venison, duck, sausages and fish including salmon and tuna. I really appreciated that all our table side chefs were aware of our dietary restrictions and knew every ingredient in their dish. We had to make a conscious effort to talk during this dinner as I noticed the dialogue was mostly mmms and ahhs. In fact, Alivia said this was the best meal she has had since she was in Italy last year. I haven’t been to Italy, but would agree Zed 451 is a “must visit” restaurant. - Dessert from SWIRLZ Cupcakes – Chef Jerry is working on a special flavor just for us! I saw a free sample pack from Katz Gluten Free Bakery advertised on Facebook, you get to try many of their products before you purchase any. What a great idea, I have spent so much money on allergen free products only to find they were not very tasty. I ordered mine right away and I got my package last week. All of Katz’s products are produced in a dedicated gluten, dairy and nut FREE facility and are certified Kosher. The folks at Katz were nice enough to upgrade my package so I could do a more thorough tasting for my review. Marble Cake - It was quite lovely and reminded me of a sponge cake. It was great right after defrosting, no heating or toasting required. It’s pretty too, no crumbling when you cut it, so it’s perfect for guests. Ingredients:Gluten free flour (White Rice, Corn, Tapioca,) Sugar, Fresh eggs, Canola oil, Orange Juice, Cocoa, water, Baking powder (Sodium Acid Pyrophosphate, Sodium Bicarbonate, Corn Starch, Monocalcium Phosphate), Xanthan Gum, Vanilla (Pure). Sliced Challah Bread-Gluten Free - I really enjoyed this bread, I made grilled “cheese” sandwiches with Daiya cheese and toasted it for breakfast. The best news is it retained it’s great flavor even after being frozen and defrosted. This bread reopens the world of sandwiches! Ingredients:Gluten free flour (white rice, tapioca, arrowroot, corn, soy, potato), Fresh eggs, Palm oil, Brown sugar, Honey, Xanthan gum, Yeast, Salt, Flaxseed, Apple cider vinegar. 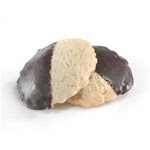 Chocolate Dipped Cookies Gluten Free - These cookies are wonderful in texture and taste. 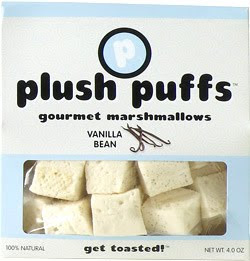 I am continually amazed at the advances manufacturers are making with allergen free products, my chef’s hat off to Katz! Ingredients Chocolate Chip Cookies:Gluten free flour (Brown Rice, Potato, Tapioca, Sorghum,) Brown Sugar, Palm oil, Fresh eggs, Chocolate Chips(Sugar, Chocolate Liquor, Cocoa Butter, soy lecithin, Vanillin), Baking Soda, Xanthan Gum. Ingredients Chocolate Dipped Cookies:Gluten free flour (Corn, Tapioca, Brown Rice, Sorghum), Sugar, Palm oil, Canola oil, Fresh eggs, Vanilla (Pure), Xanthan Gum, Salt, Chocolate(Partially hydrogenated Vegetable oil, Cocoa powder, Choc. Liquor, Soy Lecithin, Artificial coloring). 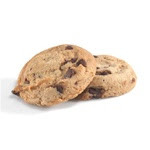 Chocolate and Cinnamon Rugelech-Gluten Free - I have never eaten Rugelech before, so I can’t compare to their allergen full counterpart, but these cookies are good. 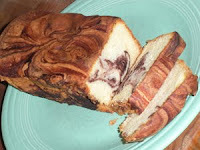 They are kind of like a cinnamon roll, but slightly more dense with cake like qualities. I took the liberty to check other websites that review this product and the consensus was they were every bit as good as ones containing allergens. Ingredients Chocolate Rugelech: Gluten free flour (Potato, Tapioca, White Rice, Brown Rice, Sorghum), Sugar, Canola oil, Fresh eggs, Orange Juice, Cocoa, Dry Yeast, Xanthan Gum, Salt, Cinnamon, Coffee, Vanilla (Pure). Ingredients Cinnamon Rugelech:Gluten free flour (Potato, Tapioca, White Rice, Brown Rice, Sorghum,) Sugar, Canola oil, Fresh eggs, Orange Juice, Dry Yeast, Xanthan Gum, Cinnamon, Salt, Vanilla (Pure). I just got copies of the article about food allergies and our Safe & Sound Dinners in Chef Magazine. 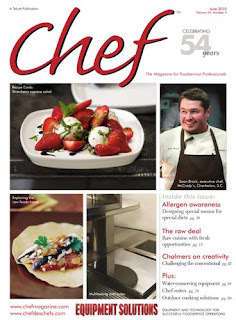 It's great news that a restaurant trade magazine is helping chefs make their kitchens safer for us allergenistas and I am honored to help play a part. Chef Ming Tsai, whose restaurant Blue Ginger has an elaborate protocol for handling allergies is the god father for food allergy sufferers as his child suffers from 7 of the Big Bad 8 Allergens! Chef Tsai is working with FAAN (Food Allergy and Anaphylaxis Network) to establish a nationwide protocol for handling food allergies in restaurants and this means more safe & delicious meals out for all of us! 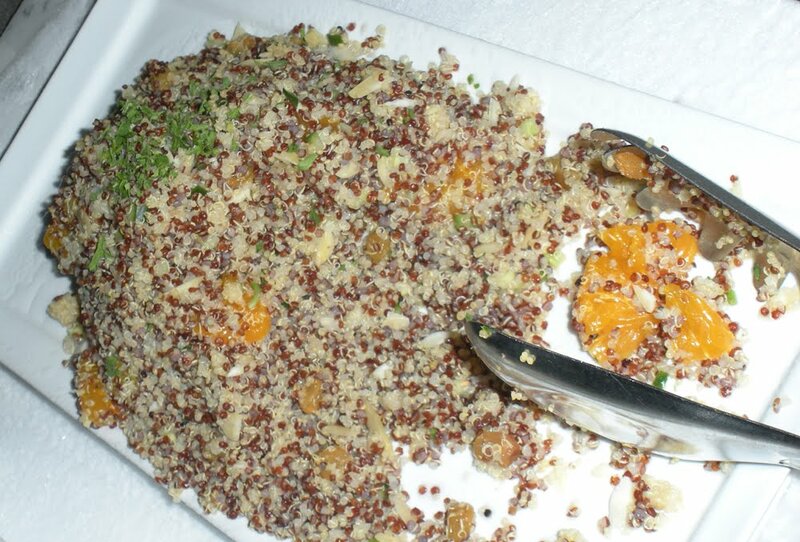 My suggestions in this article are just the tip of the iceberg, as restaurants develop allergen free menus and become more friendly toward allergenistas; I encourage them to assign specified areas that would be used exclusively for allergen free orders and also investing in equipment (cutting boards, sauté pans, and serving dishes to name a few…) that would be dedicated for use in allergen free meals. PF Chang’s has a unique set of plates that are only used to serve gluten free items to avoid servers accidentally picking up the wrong meal. This is a wonderful start and I look forward to what is on the way. This treat is almost a rite of passage when it comes to growing up, just because you have food allergies doesn’t mean you can’t enjoy this childhood treat. 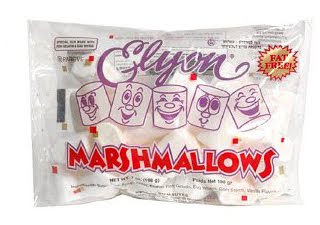 I looked high and low on the grocery store shelves to find marshmallows that were free of the Big Bad 8 and Gluten, but couldn’t omit all the allergens with one product, so please make sure you pick the options that are safe for you. I found some products that were free of all 8 on-line, please share if you have tried any of these other products. 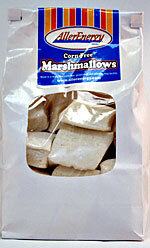 These marshmallows also come in a variety of flavors and advertise they are gluten and corn syrup free. Ingredients listed below is for the vanilla bean flavor. Ingredients:Sugar, water, brown rice syrup, gelatin, natural vanilla extract, natural vanilla flavor, natural marshmallow flavor, salt, ground vanilla beans, corn starch, powdered sugar. 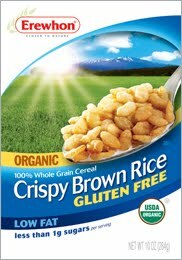 For the GF rice cereal, you’d think Rice Krispies would be gluten free, but not, so (malt flavoring). I found Erewhon’s Crispy Brown Rice Cereal and am pleased with how close the taste and texture is to the Kellogg’s brand. Ingredients: Organic Brown Rice, Organic Brown Rice Syrup and Sea Salt. When making these treats, get creative, we are adding a chocolate topping today, but you can mix in an appropriate alternative that meets your dietary restrictions like dried sweetened cranberries, chocolate chips, you name it! Melt Earth Balance Soy Free Butter Spread in stock pot over low to medium heat. Add marshmallows and continually mix until fully melted. 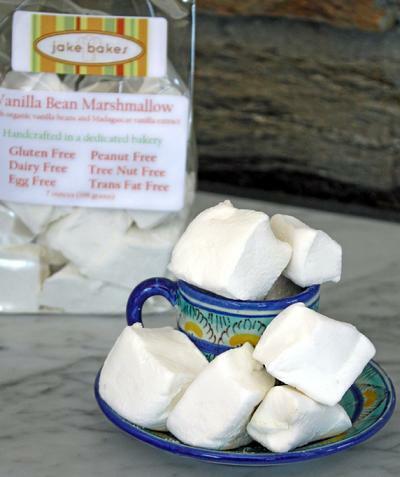 Make sure not to overheat the marshmallows or your finished treats will become crunchy instead of gooey after cooling. Add vanilla and stir thoroughly. Slowly mix in rice cereal, until evenly coated. Place rice treats in a non-stick pan and put in the fridge to cool. While treats are cooling, heat chocolate chips in double boiler until fully melted. 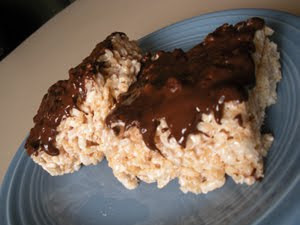 Remove rice treats from fridge and top with chocolate.Treats are best served at room temperature. Make the most of this season of salads with your own freshly made dressings and salads. These tips will help your salad be the hit of the party. - Refrigerate your plates before serving; it keeps the salad crisp and fresh. - Don’t dress until service, the salad gets soggy. - Use lighter dressings for delicate greens so the dressing doesn’t overpower the ingredients. - When using pasta in salads, cook al dente as the pasta absorbs moisture from vegetables and if cooked too long, the pasta will become mushy, especially gluten free pastas. higher; dilute slightly with water. **TIP: when using dry herbs over fresh, prepare dressing hours in advance so herbs can permeate dressing – If you use dried herbs, cut the quantity in ½. 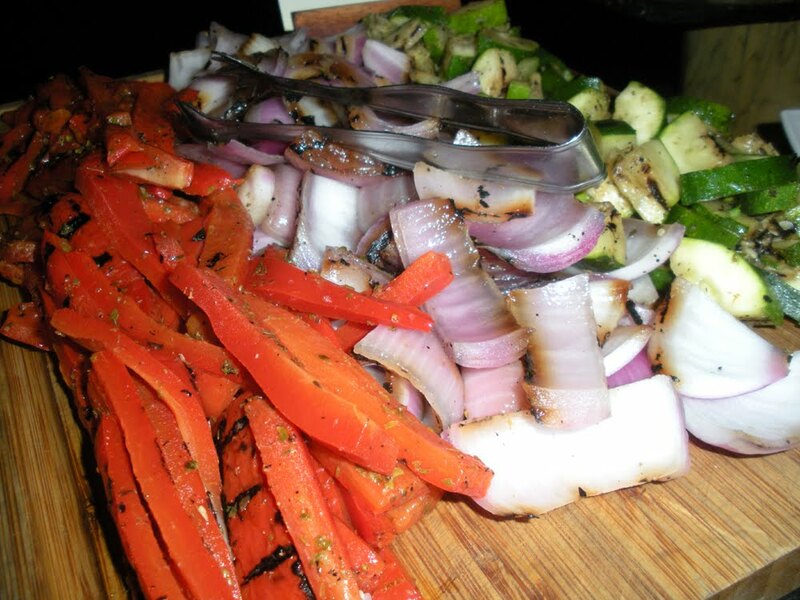 Most salads are made of oil & vinegar mixture. Heat saute pan over medium heat for 1 minute, add olive oil and heat another minute. Add onion, saute until clear and translucent, add garlic, saute another minute. 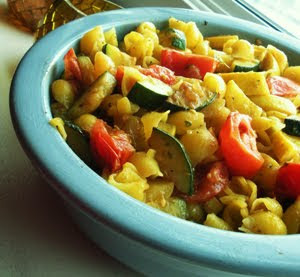 Add squash and zucchini, saute until tender. Add tomatoes at end, saute for 1 minute, set aside. Dissolve salt and black pepper in vinegar. Add oil, garlic, oregano and parsley to blender to create an emulsion. Re-mix dressing right before serving. Mix all ingredients together once cooled, adding dressing to taste, save the remaining dressing for other salads! 1. Watch out for bbq sauces and marinades - these often have hidden allergens. 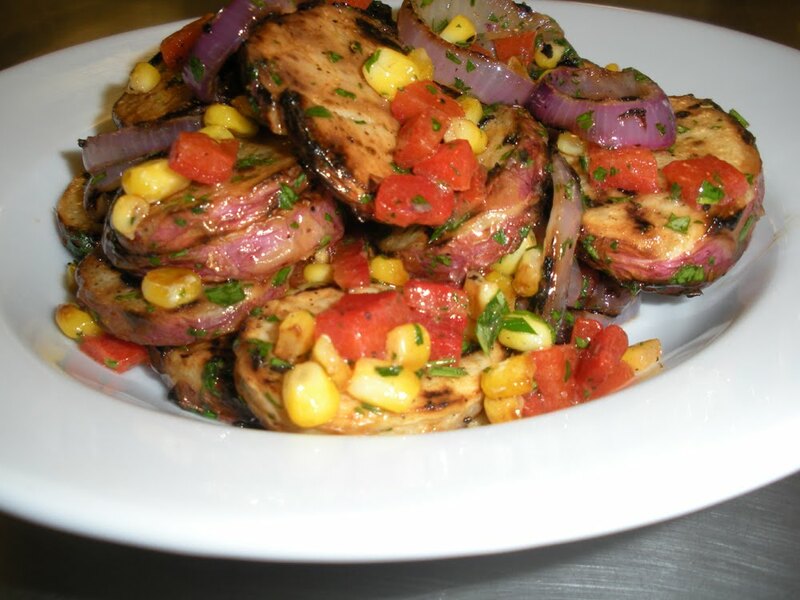 Prepare a protein that can be heated on the grill in a pan. 3. Bring your own grill - with pizzas on the grill being all the rage and toasted buns a crowd favorite, why chance it? 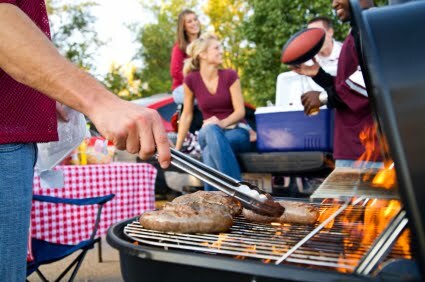 You can get a portable grill inexpensively and eliminate the worry. guests to take to avoid cross contamination with a serving spoon. times have added filler containing allergens. a Safe & Sound outdoor experience! Heat saute pan over medium and add 1 T olive oil, let heat another minute. Add corn and heat until toasty. 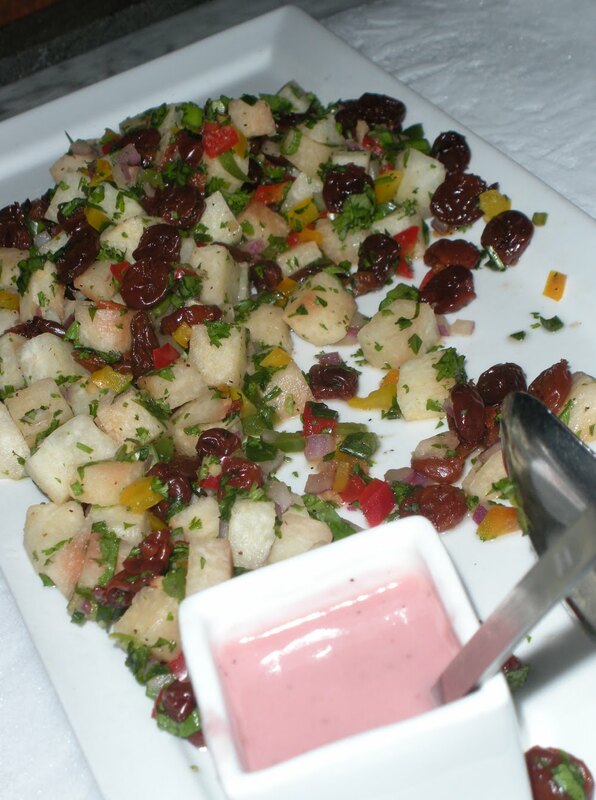 Brush potatoes and onions lightly with oil, season with salt and pepper and grill until slightly charred. Add the potatoes to the vinaigrette, then add the peppers, onions, corn and the parsley, and toss to combine. *To roast the red peppers, put them directly on the heated grill, you want the skin to get black all around, place the pepper in a plastic bag and rub off the skin. You can also get the pepper skin charred by putting the peppers in your broiler and turning as skin chars. Indoor prep: You can roast the potatoes and onions in the oven at 400°F for 30 minutes or until soft before assembling. I am pleased to announce that Angelo Caputo’s Fresh Markets has been working very hard to stock up their Gluten/Allergen Free offerings and much of that effort is thanks to Linda and Karen at Sample More Green, a food brokerage that focuses on quality health products for grocery stores. Linda, a food allergy sufferer herself is working in the aisles with the store management to make sure all the products you want and need are readily available at Caputo’s six suburban locations. Yes, samples will be available for all! - Bob's Red Mill and many more! It’s going to be a great event hope to see you there! Sign up for this “under the tent” event by calling Caputo’s at 630-924-0900. It makes me so happy to see grocers address our needs, our voice as a community is being heard!